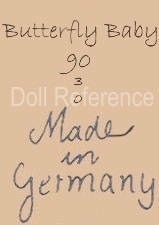 Max Köenig (also spelled Konig), along with Max and August Rudolph founded their Puppenfabrik (doll factory) in Waltershausen, Thuringia, Germany in 1911 known as Konig & Rudolph. 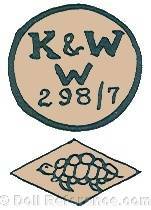 The following year 1912, the two Rudolph's left the company and Rudolph Wernicke jointed the firm and the company name was changed to (Köenig) Konig & Wernicke. 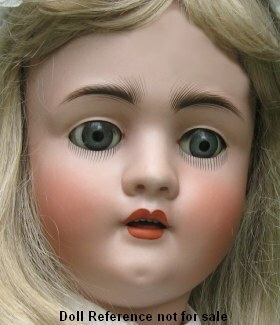 The bisque heads for Konig & Wernicke dolls were supplied from the porcelain factories of Bahr & Pröschild, Hertel, Schwab and Armand Marseille. 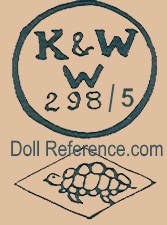 They also must have made dolls of celluloid, as a KW doll mark contains the turtle mark as well. 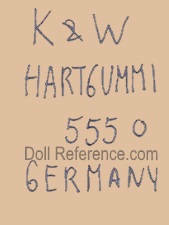 In 1931 Konig & Wernicke obtained the doll factory of Adolf Wislizenus. 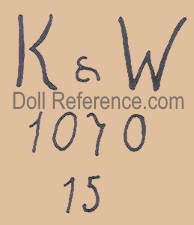 Konig & Wernicke used the doll mark K & W or K & WW. 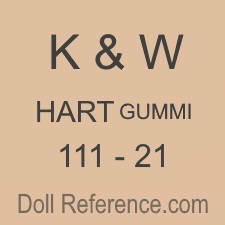 Some Konig & Wernicke doll trade names are: My Playmate doll - Mein Spielgefährte and My Pride doll - Mein Stolz doll mold 4711, both dollswere distributed in the USA by George Borgfeldt., Butterfly Baby doll mold 90, K & W Nicaput is a painted hard rubber doll. 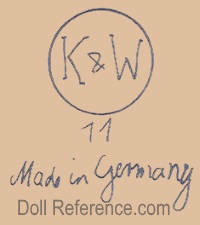 Koenig & Wernicke made Dolly face, Character Baby and Character dolls, all of good quality.